California is sinking at a historic rate. 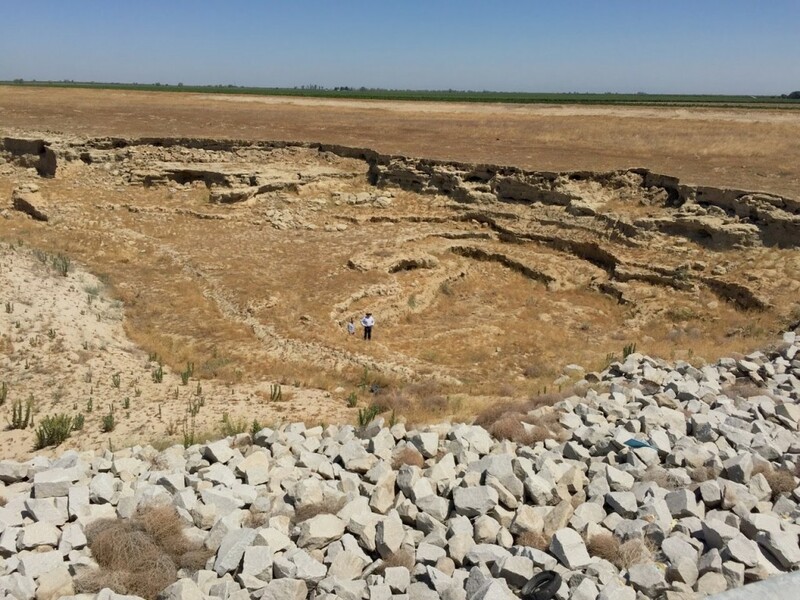 That sinking, which scientists call subsidence, has damaged flood levees intended to protect hundreds of miles of Central Valley farmland. Some levees near the San Joaquin River have sank more than six feet. If this year’s El Niño produces heavy storms, those sinking levees are now more likely to fail, putting farms and communities at risk. Find out what’s causing the sinking and see the damaged levees in this PBS NewsHour piece produced by KQED’s Monica Lam and Reveal reporter Nathan Halverson.